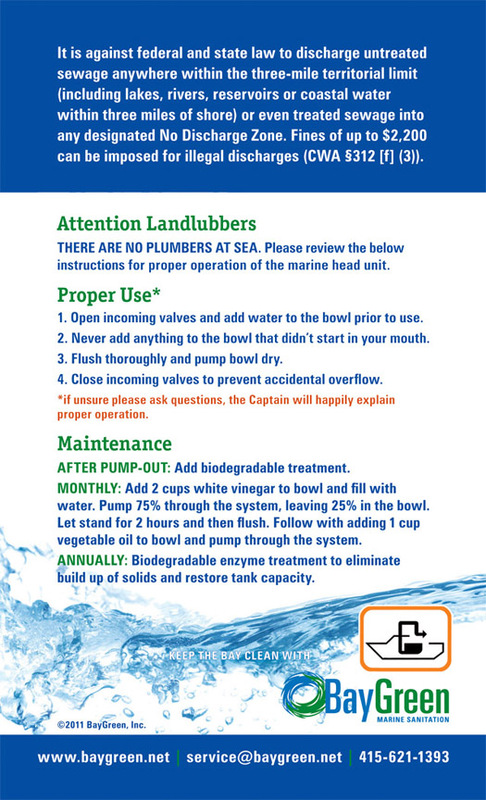 Here's a convenient free sticker that has the laws on overboard discharge, simple tank usage for those who aren't onboard-savvy, and our suggested maintenance plan to keep your holding tank smelling fresh and free of toxins. If you would like a free copy of this sticker, just contact us and if you are a current client, we'll send one out to your registered mailing address. If you are not a current client, you can register here and just put free sticker in the additional notes section. Actual size is 4.25 x 7 inches, large enough to grab attention of the landlubbers and small enough to placed discretely by the TP.